*Recommend for replacing when the part has damage/worn down, or for maintenance! *Using high quality plastic which has high strength and high wear proof. *Compatible with Next Gen. gear box *Pass 3, bullets endurance test! 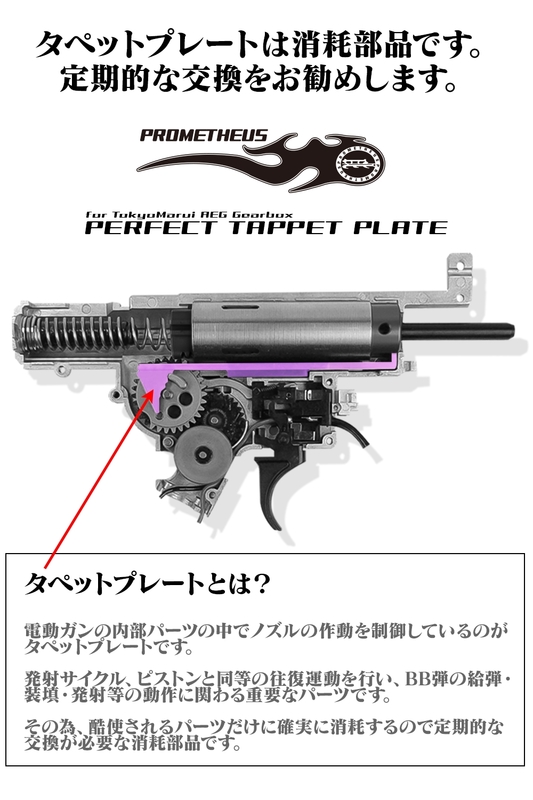 *High accuracy and High quality based on Japanese Quality. 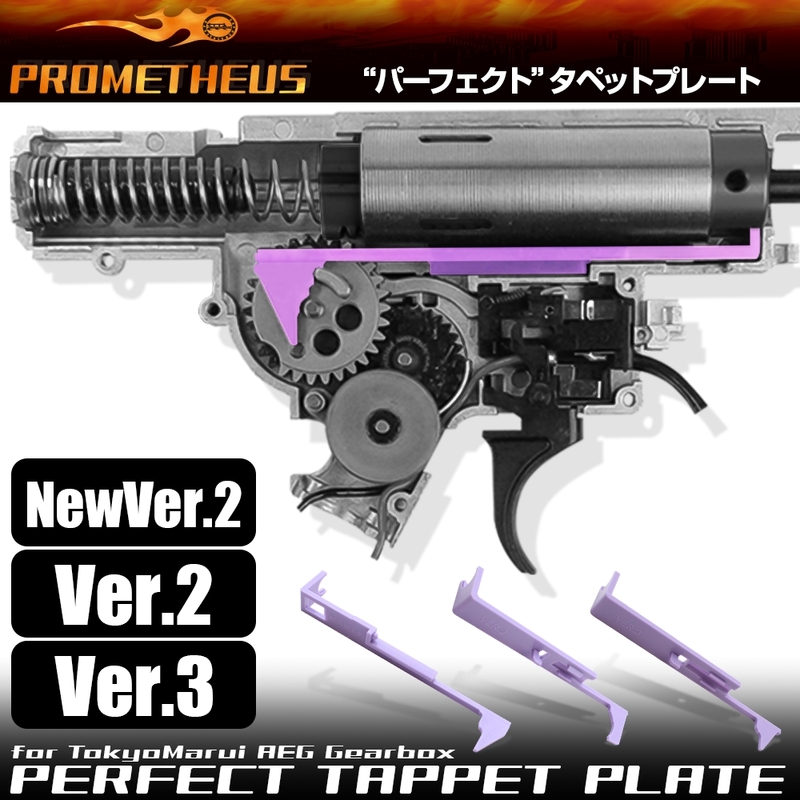 Perfect Tappet Plate (Ver.2/ New Ver. 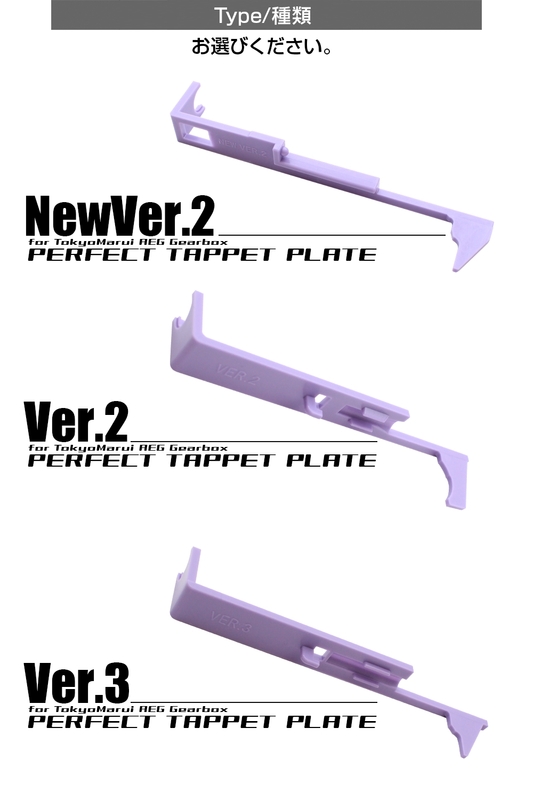 2/ Ver. 3) POM material is selected for securing high durability, high accuracy, rigidity, and wear resistance. Dimension and shapes for each part have been reviewed and it is focused on bullet feeding and bullet speed. 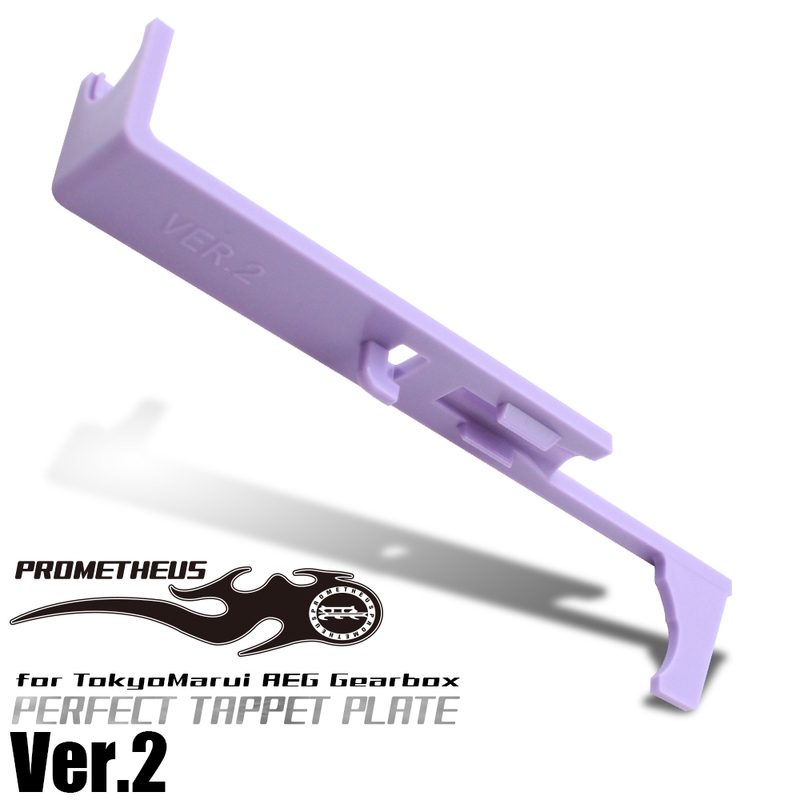 *Compatible model: TM AEG Gear Box Please see the “TM AEG Gear Box Ver. List” for detail of compatible models. 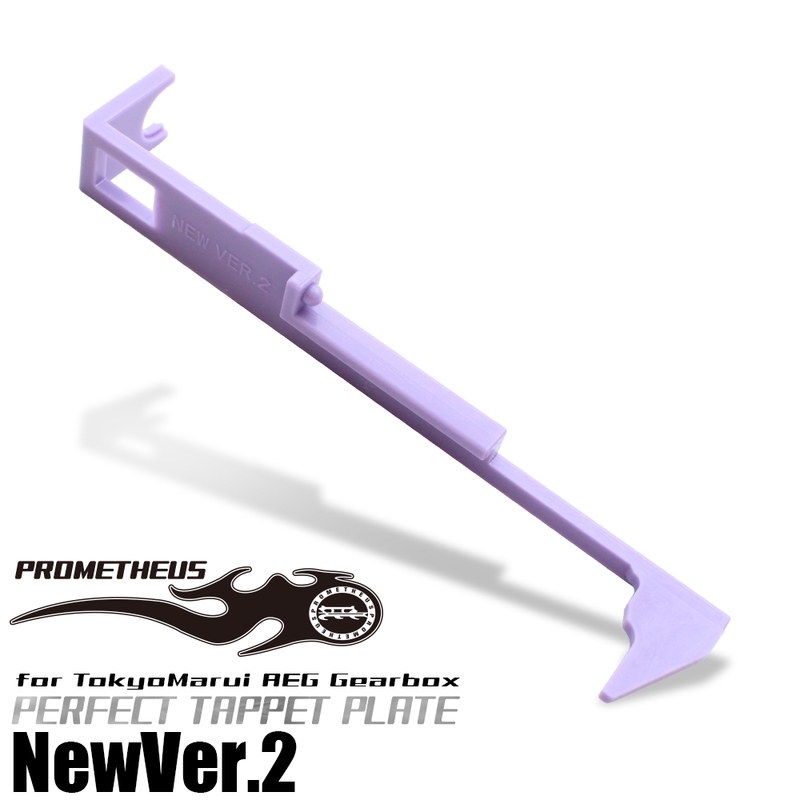 *Material: POM *Type/JAN 【Ver.2 Gear Box】457144314399 【NewVer.2 Gear Box 】45714431441 【Ver.3 Gear Box】45714431443 *Production Country: Japan *Caution: Please check the bullet speed and joule after customizing.